Andy Rathbone » Can I safely delete Adobe programs like Acrobat, Air, Reader, Shockwave Player, and Flash Player? Can I safely delete Adobe programs like Acrobat, Air, Reader, Shockwave Player, and Flash Player? Q: Recently a relative gave me a computer that runs Windows XP. I’m trying to clean it up, and I discovered several Adobe programs: Acrobat, Air, Shockwave Player, and Flash Player. Do I need them all, or can they be safely deleted? A: Since its founding in 1982, Adobe Systems has released many programs, and you’ll find one or two Adobe programs on nearly every PC. But which ones do you need, and which can you safely delete? The short answer is that you can delete many of them found on older PCs. That’s because the latest versions of Adobe’s most popular and commonly found programs can be downloaded and re-installed for free from Adobe’s download page. Adobe Acrobat 5.0: Released in May of 2001, this commercial program lets you create or edit PDF files. Short for Portable Document Format, PDF files preserve a document’s formatting: fonts, tables, graphics, and other items. If you’re not creating PDF files and have no plans to do so, delete this old version, as it has security problems. If you keep it, download and install this update to Acrobat 5.5, which fixes some of the security problems. Adobe Reader 8.3.1: As opposed to Adobe Acrobat, which lets you create PDF files, the free Adobe Reader program simply lets you view PDF files. You want this program because many websites distribute documents, manuals, and other information as PDF files, and you need this program to open and read them. 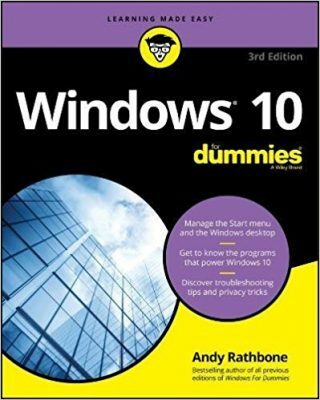 Since you’re using an older version of the program, uninstall it and upgrade to the newest version from the Reader download page. Be careful while downloading, though. Adobe tries to bundle other programs like McAfee’s security program. If you don’t uncheck a checkmark, Adobe will install that second program, too. 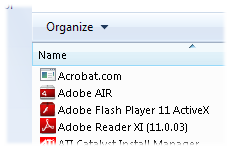 Adobe Air: This free program does nothing by itself. Instead, it helps other programs run. Since it’s already on your PC, it probably came bundled with a program that needed it. You can still delete it; if a program complains about it being missing, you can download and reinstall it from from the Adobe Air download page on Adobe’s website. Adobe Shockwave Player: Some websites use this technology to create web-based games. The Shockwave Player can be safely deleted, then downloaded and installed if you find a website that needs it. Adobe Flash Player: Many websites use Flash to display video — which includes obnoxious ads — and you need Adobe’s Flash Player to view them. Deleting this program removes many ads, but it also removes video you may want to watch. Plus, most websites will constantly hound you to download it again. The good news is that Adobe Flash is on its way out in popularity because of heavy criticism. Apple left it out of the iPad and iPhone, for example. If you find a website that needs Flash, you can download the latest version of Flash from Adobe’s website. Older computers may have other common Adobe programs installed, including Adobe Photoshop, Photoshop Elements, and others. Unlike the four programs above, these are commercial programs, and can’t be downloaded again for free. To see more information about Adobe’ programs, visit the products’ page on Adobe’s website. Click any unfamiliar program’s name to see more about it, including its current version number. Posted: June 24th, 2013 under Software, Windows XP. > Raymond, many things can cause that problem. Give your computer a thorough scan with an antivirus program and try to update flash again. If that doesn’t work, I’d contact Farmville’s technical support.